This new publication by Dr. Raymond Cloyd addresses factors that influence insecticide effectiveness for grub species and offers recommendations for control. To learn more about maximizing the effectiveness of grub control in Turfgrass, be sure to visit K-State Research and Extension Bookstore. 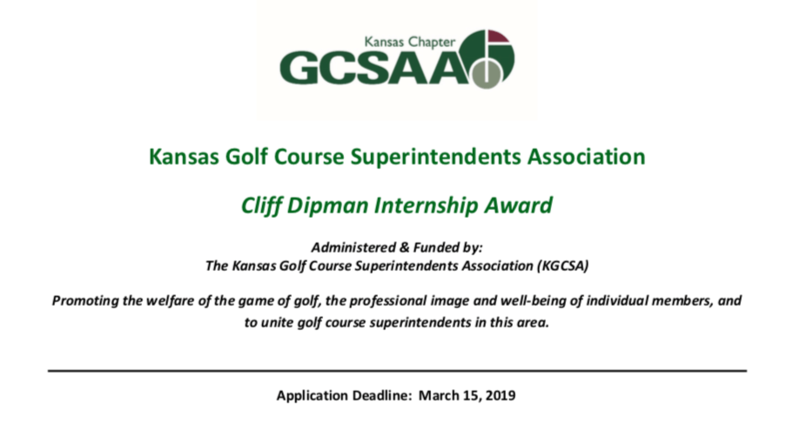 The KGCSA Cliff Dipman Internship Award consists of two $2,000 awards to Kansas State University students working at a golf course whose superintendent is a member of the KGCSA. One will be directed to a student doing an internship at a 9-hole golf course, and one doing an internship at an 18-hole facility. Applications will be reviewed by the KGCSA Board of Directors. All decisions of the committee will be final. Applicants will be notified of their status by March 30 of the year submitted. • Must intend to complete a 3- or 6-month internship at a golf course in the state of Kansas whose superintendent is a member of the KGCSA. • One award will be available for a 9-hole intern and one for an 18-hole intern. Pesticides and bees – what do you need to know?